Good point. I'm still puzzled as to how he got so many votes. He's having a solid season on a moderately successful Mavericks team, but his numbers aren't like Cousins'. A dangerous game, indeed. Still, it's possible that if the ballot did go back to two guards, two forwards, and a centre, he wouldn't have gotten as many votes. With the current system, you can obviously cast the joke vote for him, and still vote for DeMarcus Cousins at the same time. Yeah I think he was a vote nobody every really thought Zaza would get in with the other top vote getters ahead of him. I'd like to see the league go back to having the center back on the allstar ballots, the center roll may be changing but the position still exists on nba rosters and should be rewarded. Unfortunately we weren't able to record last night, so it's going to be another weekend release this week (most likely Friday night/Saturday morning, depending on where you are in the world). I've changed the threshold when truncating the silence in this week's episode, to leave a few of the natural pauses in there. Let me know how it sounds, and if there's any issues with the volume/audio quality. I believe we're good in that regard once again this week, but I'd like to keep improving it if I can. We're a little late again this week, but our streak is alive as Episode #144 of the NLSC Podcast is out now! This week, Arcane and I discuss recent news and events in basketball gaming, bring back a couple of segments, and talk about a few NBA topics. The NBA Live 16 rosters have been updated, but do not include this year's All-Star teams, jerseys, or court. We also touch on the continued lack of updates to BIG Moments and NBA Rewind. Following our speculation last week, the NBA 2K16 Road To The Finals Pro-Am tournament has tipped off with pre-season play. Unfortunately for PC gamers, it appears to be console only. 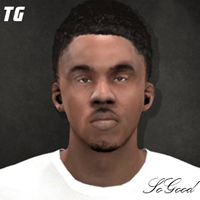 Take Two is being sued over the unauthorised use of certain players' tattoos in NBA 2K16. Fair or foul? Returning in this week's NLSC Podcast, Our Week in Basketball Gaming! This week, it's all about Ultimate Team, MyCAREER, and a rant about sore losers online. What are some of the biggest mistakes we've made in franchise modes over the years? 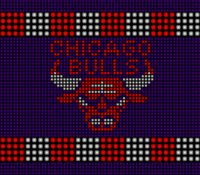 Do we have any plans to get into some NBA 2K16 modding? Jeff Hornacek has been fired by the Phoenix Suns, and replaced by Earl Watson. Not altogether surprising. With the trade deadline looming, we look at some rumours making the rounds, and consider who might be changing teams. Will any big names be wearing new jerseys after the deadline? We give our thoughts on the suggestion that Kobe Bryant will shut it down after All-Star Weekend. The participants for the Slam Dunk Contest and Three-Point Shootout have been announced, so we throw out some early predictions. Could Kevin Durant end up with the Golden State Warriors next season? In this week's Bold Predictions...more of the same. The slump has to end sometime, right? We wrap up Episode #144 of the NLSC Podcast with the return of Trivia Question, featuring a tidbit from beyond the arc. Have some thoughts on the latest episode? Sound off right here in the Forum! Also, if there's a topic you'd like us to discuss in the next episode of the NLSC Podcast, feel free to hit us up in this thread. Never miss an episode by subscribing to the NLSC Podcast on iTunes! You can also find us on Stitcher. Yep, that's what I was referencing when Ben was talking about Harden's potential score. I believe he and Detlef Schrempf are tied for that dubious distinction. We're back to our usual timeslot this week, with Episode #145 of the NLSC Podcast! This week, Arcane and I are talking Wishlists, our recent experiences with NBA Live 16 and NBA 2K16, the 2016 NBA All-Star Weekend, and more. Our official Wishlist threads for NBA Live 17 and NBA 2K17 are now open, so start posting your constructive feedback! We reflect on All-Star Weekend in NBA Live, and fantasise about its return. A list of players missing from NBA 2K16's historical teams has been posted over on Reddit, leading us to wonder about the future of retro teams. What have we been doing in NBA Live 16 and NBA 2K16 this past week? We recap our latest adventures on the virtual hardwood. How did we originally find the NLSC and get involved with it? We answer a mailbag question about our history with the site. Who are some our favourite fringe NBA players? Have we ended up acquiring any of them in our franchise games? Derek Fisher is the latest head coach to get the axe. The circus continues in New York. ESPN has named Michael Jordan the greatest NBA player of all-time in a recent feature. We don't disagree. The NBA is considering changing the Hack-a-Whoever rules. We're not heartbroken. Blake Griffin has been suspended for his altercation with an assistant equipment manager. Meanwhile, Markieff Morris is still trying to force his way out of Phoenix. The 2016 All-Star Weekend is almost upon us. We run down our official predictions. After double-checking the date for our next show, we also give our Bold Predictions for this week. We wrap up Episode #145 of the NLSC Podcast with another trivia game, and an interesting note regarding LeBron James and Kobe Bryant. listening to 144 then 145 later. That's what we like to hear. Ben, I also think Lebron rated as #3 all-time by ESPN is biased. Not that it matters. It is their rankings. Andrew the 2002 Kings were cheated out of a Finals appearance. Did you see those western conference finals games vs the Lakers? The Clipper haven't proved they can make it to the Western conference Finals. Absolutely, that was a controversial series. Of course, it's rarely mentioned that the Kings got the benefit of some dubious calls themselves in Game 5, or that they missed a bunch of free throws in Game 7 that certainly made a difference. If they'd won the series instead, it'd probably get mentioned a little more often. But definitely controversy in that series, and yes, the Clippers haven't made the Conference Finals yet. Still, we're talking about two teams that peaked at an inopportune time. Like I said, I'd also compare them to the Blazers of the early 90s, and that's a team that made the Finals twice in the span of three years. While the results are different, it's a similar situation with all three: a team with a lot of potential peaking when it's someone else's time to be on top. I'd say the list of players I'd always try to get in my Dynasty would have to start with James Posey, loved him with Denver! Iam sure there are many more I forgot about along the way! Yeah he had a solid career for a role player, I remember starting my Hawks Dynasty back in 04 when he went to the Hawks (They already had Crawford) and I remember watching the real life Hawks where Sura who was now at the end of his career and the guy is racking up triple doubles. Tune in to Episode #146 of the NLSC Podcast! This week, Arcane and I discuss some NBA Live 17 news, react to the 2016 NBA All-Star Weekend, speculate on this year's trade deadline, and more. NBA Live 16 received a new patch last week, including the All-Star court and jerseys, and new Ultimate Team challenges. BIG Moments have also finally been updated! A few more people seem to be playing LIVE Pro-Am, which is promising. NBA Live is returning to the mobile platform with a free game. Since the list of platforms is expanding, can we get a PC version, please? NBA Live 17 will reportedly add venues for the Goodman League, Drew League, and Dyckman Basketball Tournament. Sounds good to us. What do we think NBA Live 17 needs to do to grab attention and generate interest among basketball gamers? Our Week in Basketball Gaming includes more Ultimate Team stories, and some MyCAREER advice. The 2016 NBA All-Star Weekend is in the books. We loved the Slam Dunk Contest; the All-Star Game, not so much. We list our top three favourite All-Star Weekends of all-time. Yes, there are some old school picks in there. Chris Bosh is reportedly facing another health scare, though the Miami Heat are insisting otherwise. Who's changing address at the trade deadline? We run down some of the rumours making the rounds. We wrap up Episode #146 of the NLSC Podcast with this week's Bold Predictions. One of us really, really needs to turn things around. I would really love for NBA Live to have a PC release, especially if moddable. I loved the tips. I also think we should share more gameplay tips and hints here at NLSC. We have so many ways to keep games fresh with the mods and trainers, but we should discuss all the in game tools/ mechanisms. I agree with you guys, the All-star game was not really fun to watch. It was like watching a shootaround before a scrimmage practice. With the salary cap going up and players being worth more, I see more crappy all star games ahead. There is no incentive to really play competitively. The players do get bonuses for playing in the game. The winning team gets a larger cut, but compared to today's salaries that bonus is apparently not enough to make a competitive game. I also loved the all star game with Iverson and Marbury bringing the East back. Thanks TG! We felt like it turned out pretty well after we finished recording it, so I'm glad it sounded that way to you, too. The tips and general conversation about the games are definitely something we'd like to see more of in the community. I have to admit, I felt validated and less like a cranky old man of 31 when Jeff Van Gundy referred to the different attitude in the All-Star game, during today's Warriors/Clippers game. I've seen suggestions that anyone who thinks that way is simply looking back on the old games with rose coloured glasses, but if you go back and watch them now, the effort is obviously there. Perhaps offering a bigger prize would offer more incentive, but it could just be that times are changing as far as the culture of the All-Star game is concerned. A shame for those of us who prefer the older attitude towards it, and remember what the game used to be like. "Cranky old man" - welcome to the club Andrew and yes this is why I said I wasn't a fan of the allstar game anymore due to the lack of D and they didn't disappoint with scoring nearly 200 points in regulation. On to the games - if your looking for a "Traded to all 30 teams" trophy then it surly should be called the "Luke Ridnoir Award"
To try and spice up myleague? How about turning up the injury and trade sliders. It's time for this week's episode of the NLSC Podcast! In Episode #147, Arcane and I discuss another NBA Live 17 tidbit, reflect on our past week in basketball gaming, react to the 2016 NBA trade deadline, and more. Basketball skill development coach and former Harlem Globetrotter Derick Grant revealed that he has been participating in some motion capture sessions for NBA Live 17. Unfortunately we can't play it ourselves, but NBA Live Mobile has been receiving some positive reactions from gamers. We discuss an unfortunate bug in the NBA Live 16 rosters that is affecting this year's rookie crop. The NBA Live 14 and NBA Live 15 servers are still up and running. As you'd expect though, there's not a lot of activity. Mike Wang's comments on Stephen Curry causing problems in the development of NBA 2K leads to some thoughts on realism in basketball video games. More MyCAREER and Ultimate Team tales as we discuss our week in basketball gaming. We talk about the reasons people go back and patch older games like NBA Live 08, and our enthusiasm for getting involved every once in a while. The trade deadline did not exactly live up to our expectations...or for that matter, our predictions. We recap all the recent player movement. Shockingly, the Portland Trail Blazers handed the Golden State Warriors a 32 point loss. They're still on track to challenge 72-10, though. It's not looking promising for Chris Bosh, as he's on the verge of being shut down for the second straight season due to health problems. Sean Marks has become the first Kiwi to get an NBA GM gig. As Aussies, we ponder how we can piggyback on the achievement. We wrap up Episode #147 of the NLSC Podcast with this week's Bold Predictions. "I've taken 186 game winning shots.... and missed..."
Definitely what I was going for. Glad you enjoyed the show! I want you to predict that the Lakers won't win the championship in the next episode. Please. Make. It. Happen.